Eating a nutritious, well-balanced diet is the key to a healthy life. The foods you choose to incorporate into your diet affect your physical and mental health, as well as your longevity, energy levels, sleep pattern and outlook on life. That being said, eating poorly will not only result in low energy levels and fatigue but also obesity and other illnesses that are connected to an unhealthy body weight. To make matters worse, consuming processed and junk foods on a regular basis can significantly shorten your lifespan. These are all things you need to take into consideration when creating your diet plan. 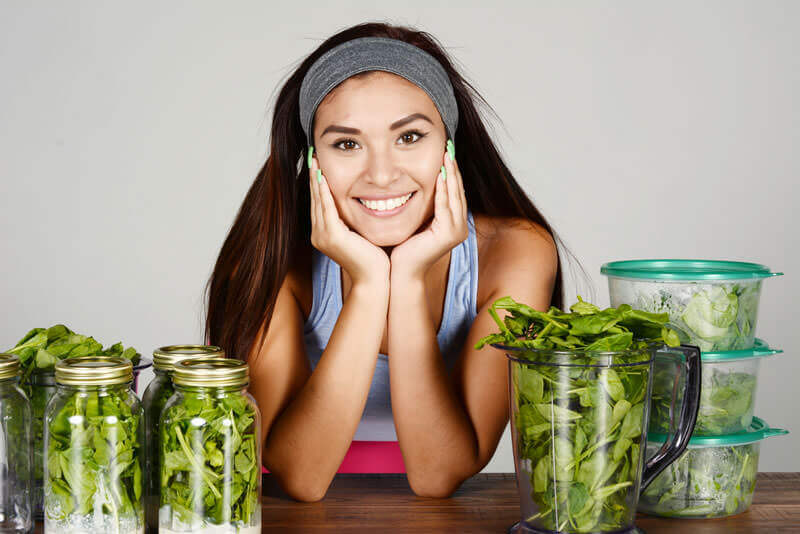 Whether you have never paid attention to healthy eating or recently made adjustments to your eating habits, you should keep in mind that good nutrition can really change the way you feel, both on the inside and on the outside. To begin with, eating whole, unprocessed foods lowers your risk of anxiety, depression and bipolar disorder. Generally speaking, there’s a strong link between mental health and what you eat. There’s more: smart food choices will help you deal with stressful situations and relax, feel energized and get a good night’s sleep and triumph over fatigue and lethargy. As far as physical health is concerned, taking in healthy foods that are loaded with nutrients, vitamins and minerals can drastically improve your overall well-being. First things first, a proper diet can prevent various diseases and health problems, including cancer, diabetes, stroke, heart disease, heart attack and high blood pressure. It can also boost your immune system, warding off common colds and influenza. Not to mention that people who eat whole, unprocessed foods live longer and enjoy a higher quality of life longer. When speaking of good health, we have to mention the significance of maintaining a healthy weight. People who are overweight or obese are at a higher risk of developing several serious illnesses, so it’s imperative to adopt a good diet plan and engage in physical activity on a regular basis. It’s also important to keep in mind that there’s no one best diet for everyone. What works for one person doesn’t have to work for another and vice versa. When developing an individual eating regime, you have to take various factors into account, including your body type, dietary preferences and limitations (exclusions and allergies), monthly food budget, and the amount of time you are willing to spend on grocery shopping, food preparation and cooking. One of the reasons more and more people are turning to meal delivery services is precisely because they don’t have enough time to dedicate to preparing healthy meals but want to take care of their minds and bodies without having to miss out on the joys of cooking. The best part is that these services often include the advice of nutritionists, who can help you expand your nutritional knowledge and improve your diet. Moreover, you don’t have to be a professional chef to prepare these meals, as they come with the precise amount of every ingredient you need and step-by-step recipes. If you don’t know where to begin, you can rest assured that these services offer only healthy foods that will benefit your health in more ways than one. Another thing you should also know is that there are some basic guidelines you should follow if you want to make the most of your meals. Firstly, a healthy diet is a varied diet. This means that you should include foods from every main food group in your daily meals. In other words, you should eat fruits, vegetables, proteins, whole grains and dairy on a daily basis. 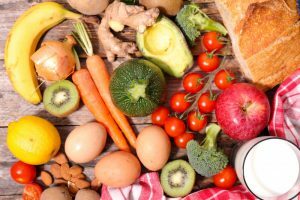 The general rule is that your meal should consist of twice as more vegetables and fruits than grains and proteins, with just a small portion of dairy on the side. Secondly, the amount of food you eat definitely matters. Just because something is healthy doesn’t automatically imply that you can eat it in unlimited amounts. You should talk to your nutritionist and determine how much food you should consume in order to achieve your weight goal. Thirdly, no foods are completely forbidden but you have to limit the intake of red meats, processed foods, refined grains, salty foods, junk foods and sweets. Despite the fact that these foods are not good for you, it’s perfectly fine to treat yourself to something you love every now and then – just make sure that those occasional cheat meals don’t become a part of your routine.